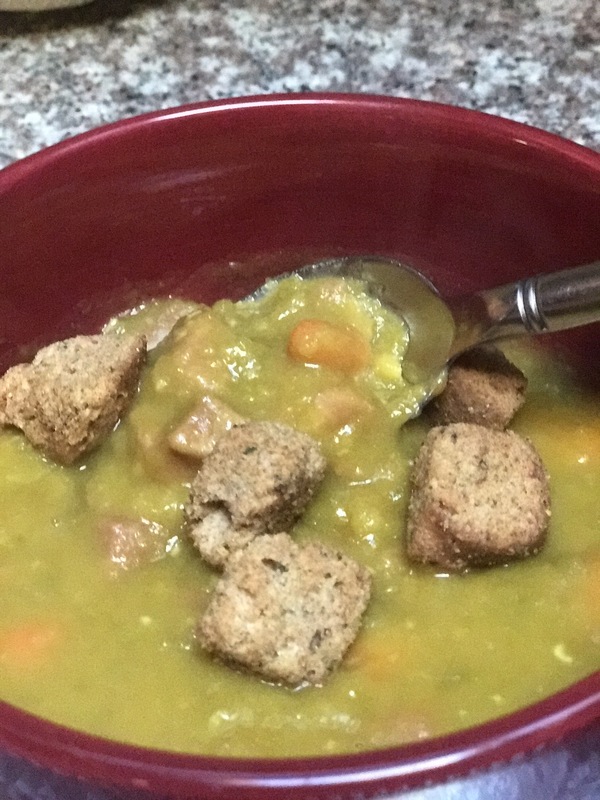 Split Pea Soup…don’t say yuck just yet! I have never been a fan of pea soup. I couldn’t get past the color and consistency. I love peas so that wasn’t the problem. Now my husband on the other hand, loves pea soup and was constantly asking me to make it. So several years ago I made a pot of homemade pea soup and it was a life changing experience in two ways. First, my husband was so thrilled that I finally made pea soup and second, I realized I liked it. 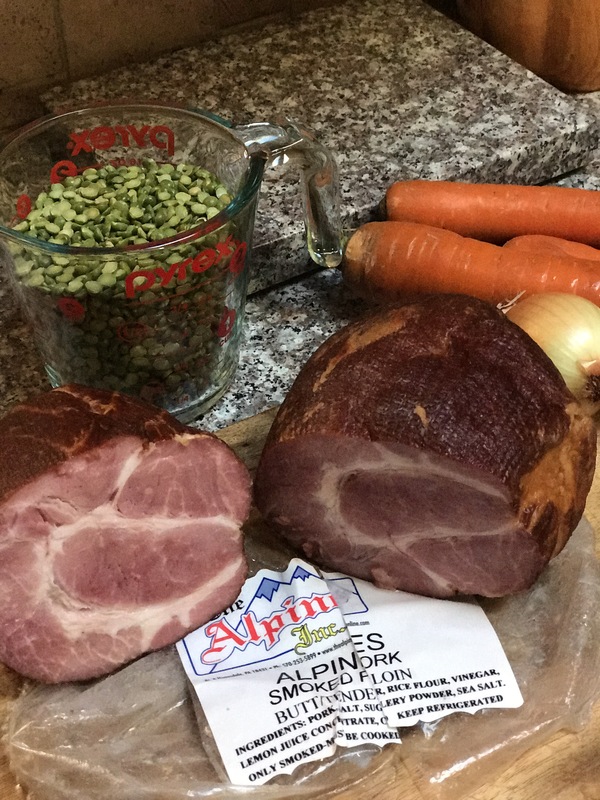 Several things are important to me when making pea soup. I always use chicken stock, quality smoked ham, and carrots not potatoes. I am not a big fan of potatoes in soups so I use diced carrots. When I make pea soup, I always make a double batch and freeze some. Makes for a delicious, quick, healthy and hearty meal. You may have to add a bit of chicken stock when reheating depending on your consistency preference. In a deep pot heat the oil and add the onion, garlic, and carrots cook about 4 minutes then add the ham and cook an additional 3 minutes. Add 5 cups of the stock, rinsed peas, and Sazon. Bring to a boil, reduce heat to a simmer, and cook uncovered until the peas are tender. About 1.5-2 hours. Add more stock if necessary. We like to serve it with multigrain croutons and a warm loaf of Challah bread. Both homemade.